As you begin your search for a videographer and see other people’s weddings on video, we are sure you will feel a variety of emotions and thousands of thoughts will cross your mind. You may begin to compare what you have planned for your wedding with what you are seeing on the screen. You may hate their tuxedos. You may be worried that in your video, you won’t smile as much as the sample couple did. You could be worried that the story of how you met wasn’t as wild and therefore isn’t really worthy of being permanently documented. Seeing their bridal party may prompt you to wonder if you should have asked a few less friends to join you down the aisle! You might be bored and start to think that there isn’t really a need for a video, since the pictures will cover the bases, and you aren’t going to watch it more than once anyway. You might even feel a little resentment that you have to be doing this research, because it’s your parents that are forcing you to get your wedding taped, why do they care so much? There is a good chance you are overwhelmed because you can’t decide what company seems to do a better job…do I need two cameras or one, does that steadicam really stand out? I’m not a director, I didn’t go to film school! 1. Your video purchase is probably the last thing on your mind. Why? Because it is the ONE service that won’t be directly experienced by your guests on the wedding day! Unless you get a same day edit from us, even your photographer will have plenty. There will be an engagement picture or guest sign-in book made, sitting out as an advertisement for everyone to see. In fact, if we are doing our job right, keeping back and filming from unobtrusive angles, your guests probably won’t even see us at all! Just like editing in Hollywood movies, wedding cinematographers represent the most invisible of the arts, and the most invisible wedding service! 2. You have spent your entire life watching TV shows and movies. You are an extremely visually sophisticated consumer. Even though our demos seem very modern and entertaining, you aren’t sure if you like the work because of the content created by the couple (costume design, casting), or the cinematic techniques employed by us (shot composition, the music, the color timing, editing). It is hard to watch a film critically unless you are a film professional, and you can’t just flip through a DVD like an album, you have to see a full video to know if the day was captured the way you imagine it should be. 3. On top of these fears and concerns, you are hiring us in the hope that our artistic sensibilities ring true to your vision of the ideal wedding film. You haven’t seen the specific product you will be purchasing. You have only seen us, who will be making it. You know who we are, you know our promises and the kind of work we have made in the past, but it is a leap of faith. You are putting your money into a company and you hope you get something out of it that meets your expectations. The wedding seems so stressful, so important. Years of your life have been focused on this ONE day. It is like the Olympics, you have searched, prepared, made decisions, involved everyone you know, even trained! To some a wedding is an annoying social obligation. To others, it is a chance to show off who they are and the great things they will be able to do together. These are most likely your thoughts before your wedding. Out of the 6.7 billion people in the world, you have chosen to be with each other. Even if there wasn’t a wedding event involved, that is still a spectacularly important decision. This day is the event that creates a new family, combines existing families, increases friends and forges new relationships that will be with you for the rest of your lives. If you someday have children, this is the singular moment, in your short time being part of the human experience, which made everything possible and official. As much as you can say you are rationalizing the importance of the events that are taking place, we have seen during meetings, time and time again, that you won’t clearly realize how significant a chance this was to capture a moment in your lives until AFTER your wedding. So much is expected of both of you, dance lessons, invitations, there are thousands of little details. Seeing the big picture becomes impossible. The irony of this is that it isn’t until the day AFTER that you finally have time to decompress and think about what you have both just been through. 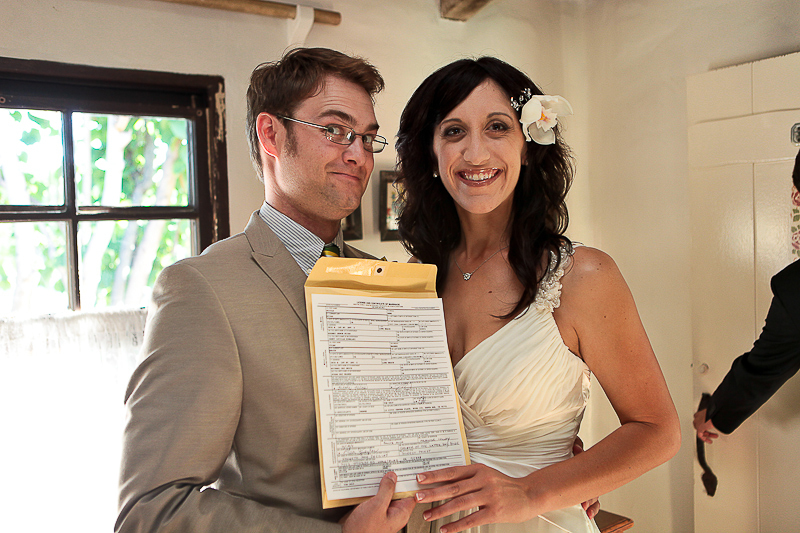 Sadly, you can only hire a videography company BEFORE your wedding. If you haven’t and you wish for one afterwards, unfortunately, it won’t happen. As you are flying home from your honeymoon, the thought crosses your mind that some of the people in attendance won’t be around next year. It is the worst thing to imagine, but it is part of being alive. We have seen it more than we’d like to. Here is the truth. When you watch your video for the first time, you will be profoundly changed. It will be the first time you have seen your life, your network and relationships, through the eyes of filmmakers. You will have time to take in what your bridesmaid said during her toast, you will see through your friends’ expressions how much they care about you, and through your new partner’s eyes, from a neutral perspective, how much they love you. Once you have your film, there is a sense of closure and calm. You will never see most of what happens at your wedding. How could you? You were both the center of attention. By having a moving record, you are part of the scene, it isn’t from your point of view. You can see the side conversations, hear how funny your officiant was, see what an incredible job your florist did and the dancing resulting from your DJ’s creativity. The wedding movie is the final encapsulation of every part of your planning. It is a representation of your day, created through our perspective. Some grooms say that they cringe to contemplate what could come out of the mouth of his best man or the maid of honor during their toasts. Think about it though: these stressed out people got up before hundreds of guests and talked about their relationship with you – how much they care about you, how proud they are – when was the last time you recorded your best friend talking about why they’ve stuck around for so long? Never! As everything was going by, you were in the moment. Amazingly, as you’ve already experienced in your life, movies have the power to transport you to another time and place. When properly shot and edited, your wedding film will do the same thing. That is the nature of the medium! We take the strongest elements from the day, the speeches, action, visually stunning imagery and comments, and mix them into a film the length of a typical TV show without commercials. Because of our love of people and the stories swirling around them, we spend about 60 hours editing and arranging, splicing and timing the footage that we captured during the day to create the finished product. 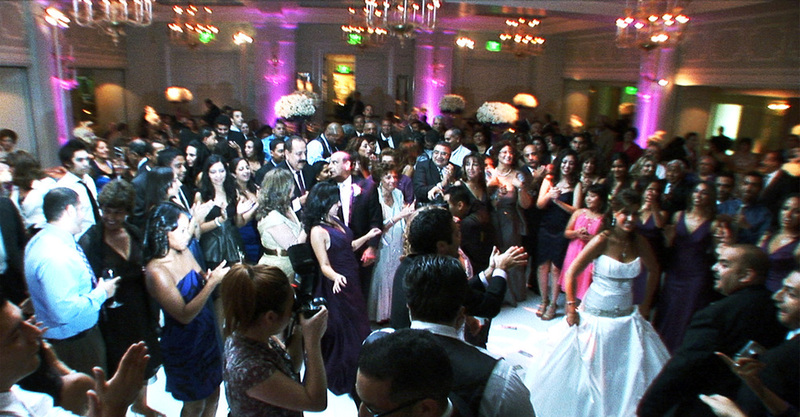 We approach every wedding film with the philosophy that it could be shown as a film at Sundance if need be. We use the same equipment at every stage of production and we approach the editing like it is a documentary about your love/lives/day – not a “wedding video.” You know the connotation there! What we labor to create for your family’s history is something entertaining as well as true to the day. When you watch your wedding film, it is historical, it is funny, cute, enjoyable and poignant. Do you know why? Because it is about YOU and everyone YOU LOVE! We are so thankful that we can make videos like we do. Before 2000, it would have been impossible to produce videos for weddings with the creativity and technical precision that we now do every weekend, for less than $30,000.00. This is a new industry, with changes happening all the time. You can forgive your parents and grandparents for not getting a motion picture of their weddings. Aside from Super 8 home movies, it was impossible. But now, it is completely possible. This is the 21st century!! This is the most spectacular time to get married! If you choose, you can have coverage of your day equal to any magazine photo shoot or movie. Still cameras are better than medium format and video cameras have the exact same optical properties as Panavision cameras! We use steadicams and tracks with small, lightweight equipment! It all serves to make you something that stands on its own. We don’t mimic movies, we don’t use any template - your wedding film is its own, unique creative achievement. Even though we use the best tools, our shooting and editing style remains classic and timeless. No lame effects, nothing cheesy. Cuts and dissolves have been used since film began – only the costumes have changed! If you are a future-oriented person, you will have already realized that your wedding film isn’t just for you. Your parents want to see it, your guests want to watch it online, and your children and their children will shed a tear every time they watch it. Stop now and imagine how you would feel if you discovered your grandmother’s wedding video in the attic. It would be the greatest heirloom and treasure of them all. Our clients call and tell us about how their children are mesmerized by seeing Mommy and Daddy’s wedding video. They leap up to the screen, touch it, talking to them – it is very cute! Long after you are gone, your wedding video will remain as part of your legacy. How many days can visually remain forever? How many days are this important from a family standpoint? Only you know what you want out of your wedding video and what you feel comfortable spending. To help you clarify what you really want, please stop to think about why you are looking at wedding video companies. Do you just want to feel safe knowing that the ceremony was recorded and don’t really care about technique or how interesting it is? If so, then you can save a lot of money and time by having your relatives tape it. There are a lot of video cameras in the world and you probably even own one. Put it to use. If you have planned your day for years, dreamt of this moment since you were a child, if you want to be sure everything is captured with style, you may want to hire a professional video company. If you want to go a step beyond quality coverage and move into the realm of narrative structure and art, you might want to hire Charles Lauren Films. With us, you put your faith in a team that creates wedding films FULL TIME. Almost every weekend for the past seven years, we have been watching, creating, lugging, changing tapes, cleaning lenses, attaching lavaliere microphones, pinning boutonnières, sweating, rack focusing and crafting our style. All wedding days have the same basic structure, but they are each filled with different events, personalities, stories and characters. Therefore, each one is unique. While we know exactly where to be and who to look at through experience, we still feel the same nagging fear that we did at the beginning - we need to get more footage! We still put too much into the editing, hoping so desperately that the bride and groom will like it! We still bring too much backup equipment, because it is too important of a day for annoying problems to cause anything to go wrong. Every time we finish a video, it becomes the new normal and we can’t live with ourselves unless the next one is better. This drives us to madness, but it is because we care! Wouldn’t you want the people who create an eternal moving portrait of your family to continually improve, keep on pushing, always be innovating, doing the absolute best that we can do – just for you?